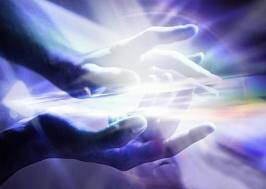 Usui Reiki training level 2 is an opening to a whole new dynamic level of reiki. Usui Reiki is where all reiki stem’s from. There are many other types of Reiki out there now, and in fact we teach a great many of them. We believe learning Usui as a root to the other systems out there will help you in your Reiki Journey, wherever that may take you. We still use Usui and integrate it, into all of our healing sessions. Working with the masters through the lineage back to Usui himself. Usui level 2 is the next step on your healing path as well as basis for the work you will do in any type of Reiki. You will learn 5 new healing symbols. The hand positions as well as using your intuition for working on others. How to go deeper with your own self-healing. How distance healing works and how to clear spaces & items; how to manifest things with reiki; how to cut energetic cords; work with the chakras on others, how to trust your intuition plus much more. You will need to have completed Usui Level 1 before taking this class. Cost of this 3 week class is $300.00. A fourth class may be added depending on what the class needs.